OESA's David Andrea: "I don't think anyone wants to go back to the time when we had 25 percent excess capacity." TRAVERSE CITY, Mich. -- To meet rising production orders, North American suppliers are hiring employees and purchasing more capital equipment, but they are less willing to finance plant expansions, a new survey shows. 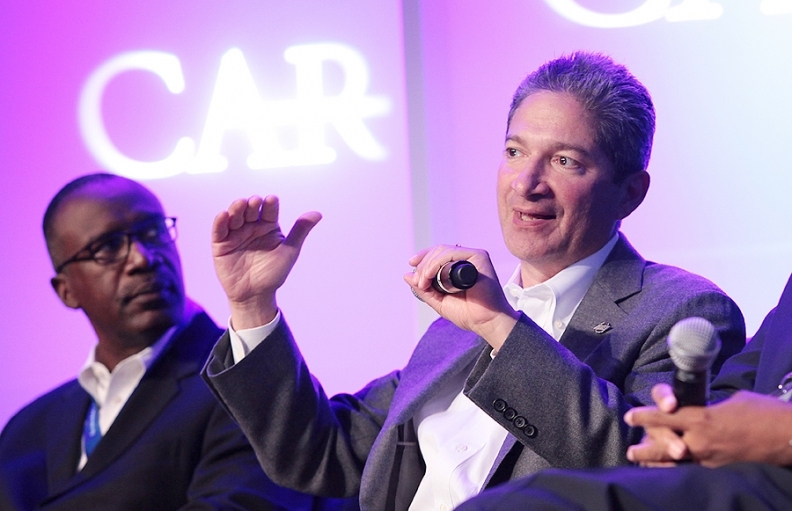 David Andrea, senior vice president of industry analysis at the Original Equipment Suppliers Association, described suppliers' expansion strategies today at the 2013 CAR Management Briefing Seminars. Plant "expansion is not considered a key action," notes the OESA survey, which was based on responses by 96 companies in July. "As one respondent noted, 'We already have the footprint; now we need people.'" According to the survey, the highest priority is to purchase production equipment, followed by the need to hire salaried and hourly workers. Plant expansions were the fifth highest priority, while construction of new plants ranked seventh. The bottom line: Suppliers are willing to expand production, but they are leery of big investments. If so, automakers and suppliers will have to plan for tighter production capacity.